For current classes check the calendar tab where all classes will be listed in detail. Click here for a recorded class - Learn to Read Angel Cards. This class was live at the Spirituality Center and can now be purchased for $15.00 to view at your leisure. The class was packed with lots of information on how to read angel cards. Anyone can learn to connect to the angels and use the cards as a tool for guidance and empowerment. Vicki can come to you and spend two hours teaching you and your guests about angel cards; she will get you started doing simple readings for yourself & your friends. This class is fun and hands on. 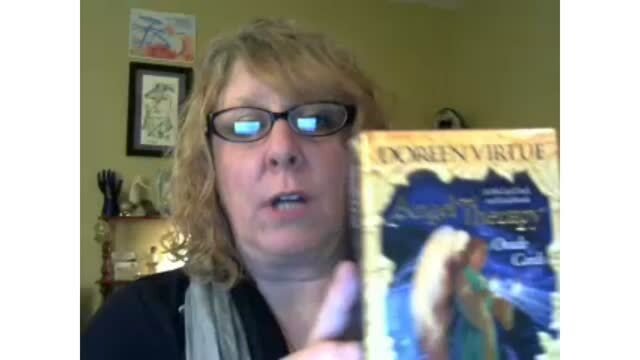 Vicki brings various Doreen Virtue Angel card decks to practice with so all you have to do is provide the guests.